This course is specifically designed to train students in preparation for General and Academic IELTS examinations. In this course, students are provided with comprehensive explanation, interpretation of the exam training, and attempt of each macro-skill sample exam paper. 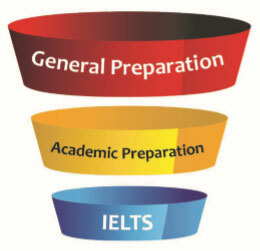 The General IELTS program can be used by students who want to progress their studies in a vocational program or for immigration purposes, and Academic IELTS can be used for undergraduate or postgraduate students or professional development.